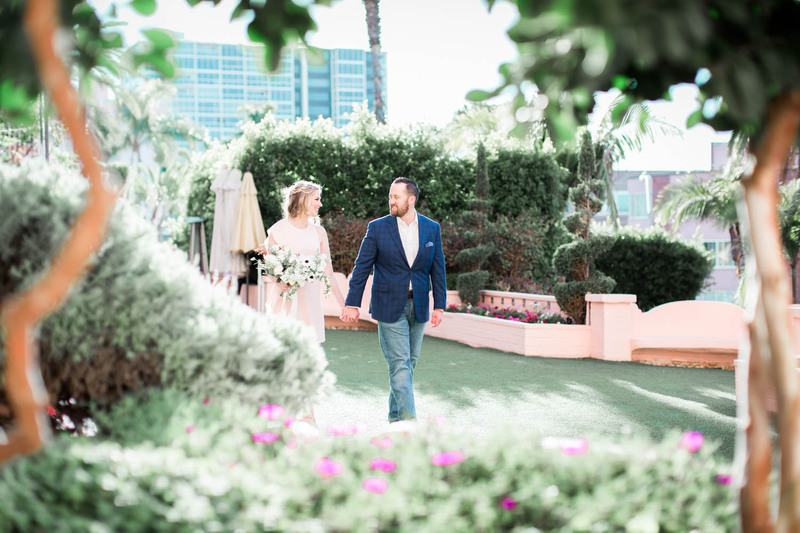 If you’ve ever been to La Jolla, you’ve probably passed by the La Valencia wedding venue that has a gorgeous view of the ocean and its surrounding palm trees. 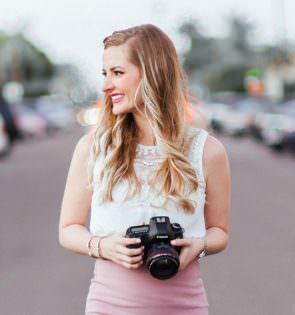 You probably also noticed its gorgeous pink walls that make for the prettiest photo backdrops. 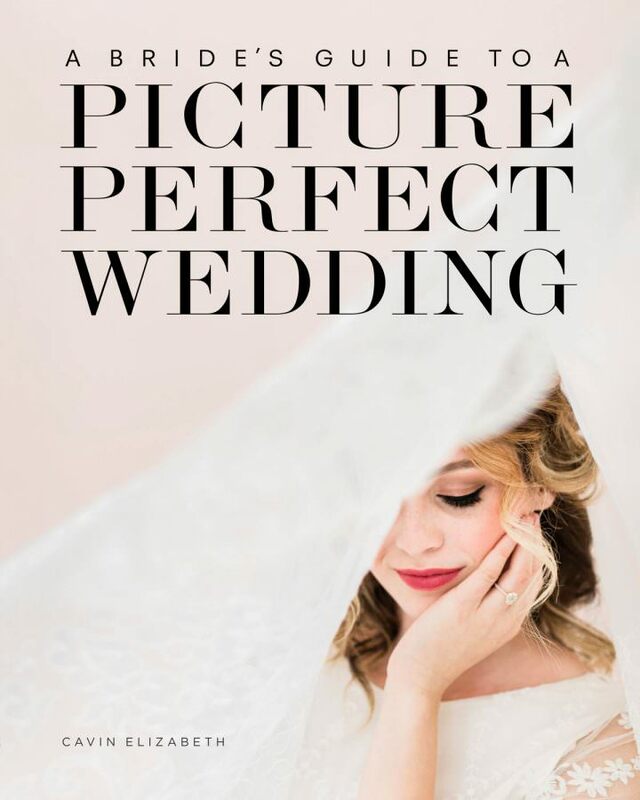 In case you were wondering about having your wedding at La Valencia, you’ll find information and inspiration below! 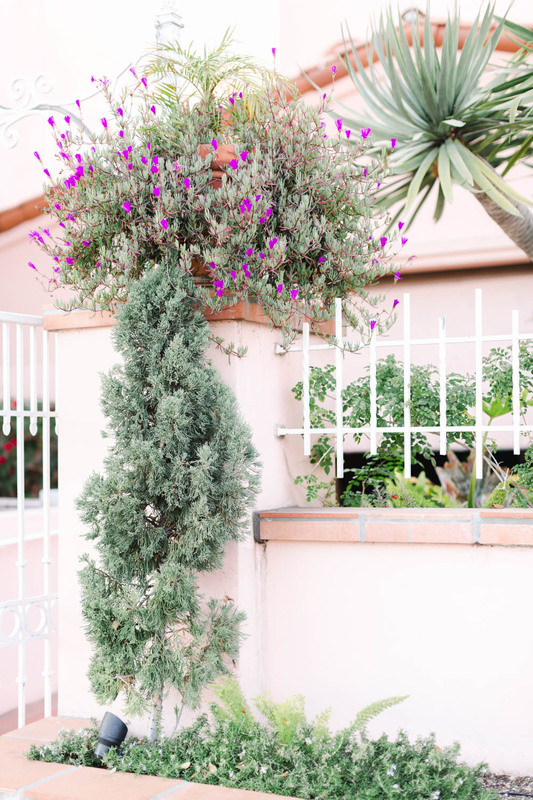 The iconic Mediterranean silhouette of La Valencia features a pink exterior, vibrant and lush foliage, and a picturesque ocean view. The grounds of the property speak to a vibe of relaxed luxury that is beautifully California high-end. 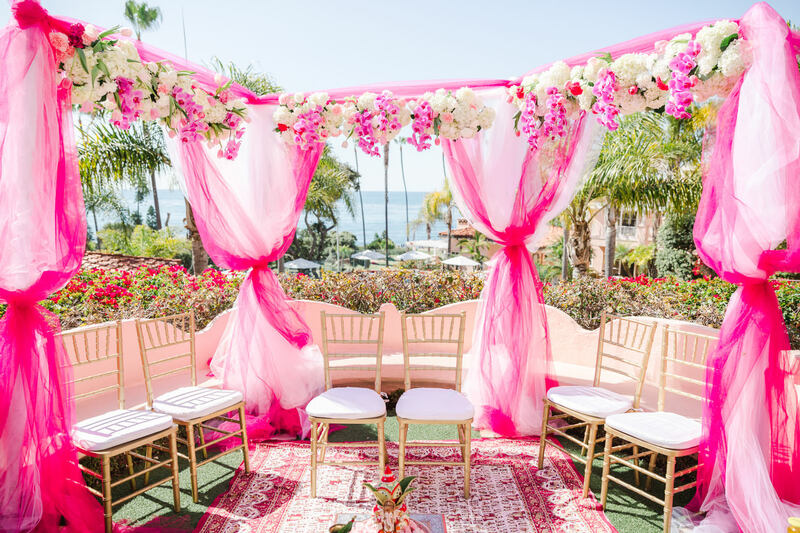 You could almost get lost in the beauty of the winding pink hallways and the multiple levels and staircases of the venue. 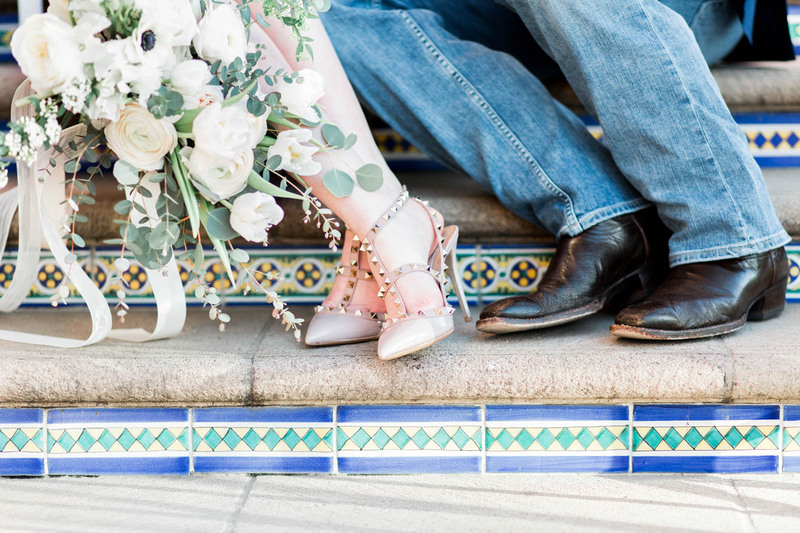 Whether for engagement photos or your wedding, La Valencia provides an unforgettable location for you and your guests. For your guests, there are 114 rooms, luxury suites or iconic villas where they can stay. 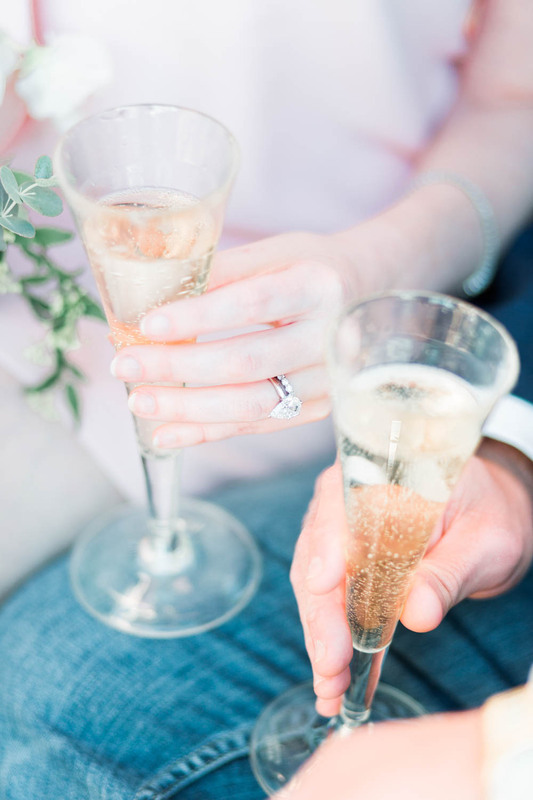 Whether you have a large group or an intimate one, your friends and family will adore staying at La Valencia for a memorable weekend. 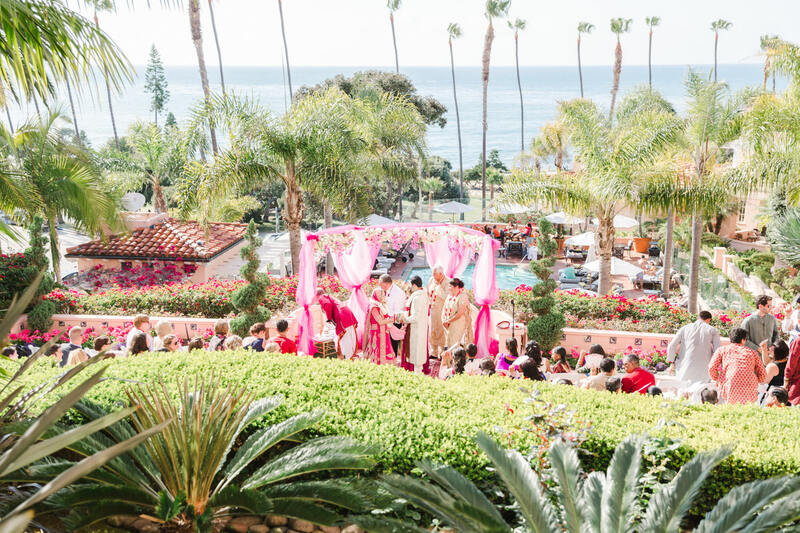 Able to accommodate up to 150 guests for a ceremony, El Jardin is nestled in the middle of the property and has breathtaking views of the ocean. Nestled among lush greenery and cozy pink walls, this space feels very private and intimate despite its central location. Personally, I do think this space is best for less than 100 guests so as not to pack people together too tightly. 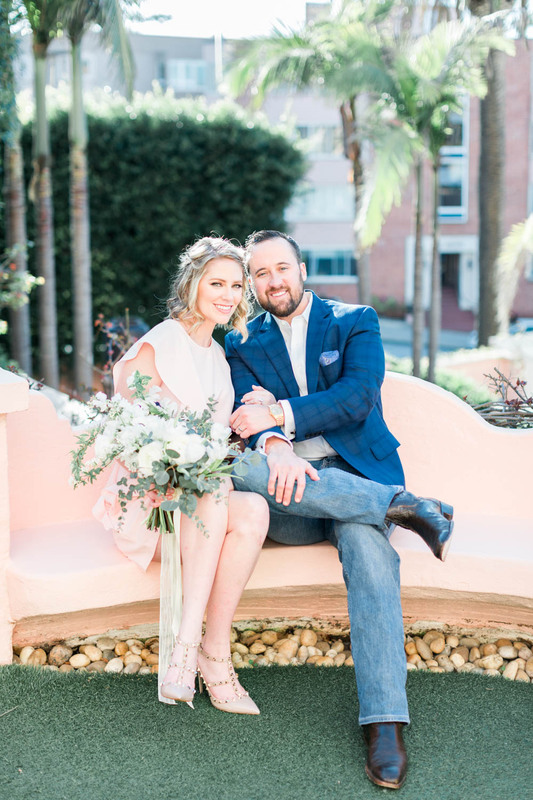 The La Valencia wedding venue that most associate with the property, the Veranda Ballroom, immediately speaks to the glamour of the venue with its white and black marble floors and chandeliers. While the capacity of the space is 175 guests, I would recommend no more than 125 as the space is small and feels a little crowded with full capacity. 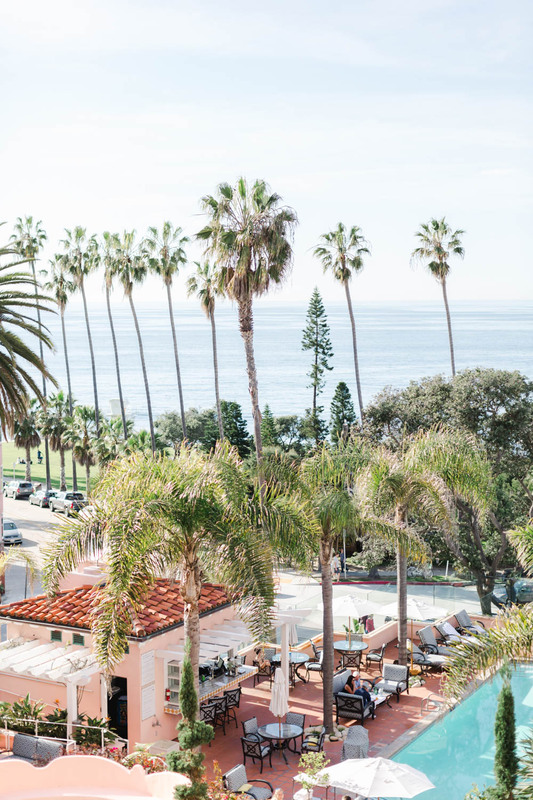 For cocktail hour, guests can spill out onto the balcony where they can watch the sun set over the Pacific ocean.